In order to straighten your teeth, we can use either fixed or removable appliances ('braces'). Following a detailed consultation, together we can decide on the most appropriate, safe and predictable treatment option for you. Removable “braces” are those that can be removed for eating, cleaning or for social situations. These can be very effective for young children as they utilise the effect of natural “growth spurts” to correct jaw discrepancies or simply provide interceptive treatment thus reducing the potential need for complicated treatment thereafter. Invisalign uses a series of custom-made clear plastic aligners that fit over your teeth to gently move them into position. The aligners are changed every two weeks as your treatment progresses. The benefit of Invisalign is that the aligners can be taken out for eating, drinking and cleaning, to suit your needs. Traditional metal fixed appliances (‘train tracks’) have been in use for over 100 years and can be used to treat many orthodontic problems. They work by attaching small stainless steel brackets to your teeth, which are connected by an arch wire. A series of different sized wires are used which gradually move your teeth into the final desired position. You have the option of choosing different coloured rubber bands to make your appliance unique as you. Tooth coloured fixed appliances work in the same way as traditional metal ones, however, they are made of a translucent ceramic material, which blends in with your natural tooth colour. The clear brackets and bands also improve the overall aesthetics of this appliance. Lingual fixed appliances are fitted to the inner surfaces of your teeth and are therefore almost invisible. Incognito lingual braces, is a system that uses specialised technology to create brackets and wires that are customised for your individual teeth. The flat design of the gold alloy brackets also provide maximum patient comfort and rapid adaptation to speech. Retainers are the best means of maintaining your fabulous smile. There are two main types available – fixed/bonded or removable. A fixed retainer is placed on the inner surface of the teeth whilst a removable retainer is worn over the teeth. Both methods help keep the newly aligned teeth in place. 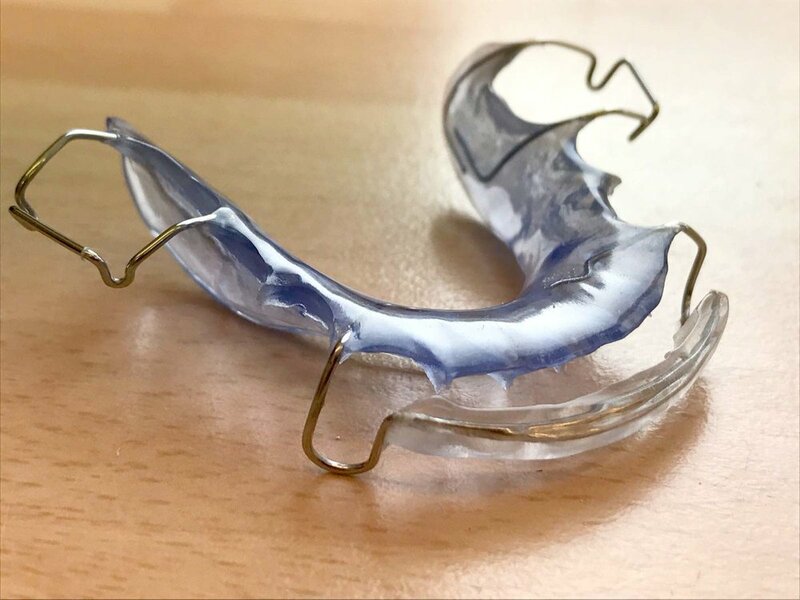 Long-term retainer wear is essential to prevent natural age-related changes that can lead to unwanted tooth movement.